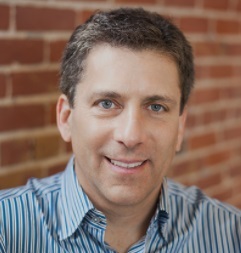 Steve Polsky founded Juvo Mobile with the goal of providing basic financial services to people worldwide. He leveraged the ubiquity of mobile service and the rapid adoption of smartphones to enable global financial inclusion. Steve’s career has centered on founding, launching and managing early stage technology ventures, including Flixster/Rotten Tomatoes, Amber Networks, VoicePlex Corporation and Edusoft. Steve is a lecturer for the Wharton School of the University of Pennsylvania’s undergraduate course in Entrepreneurship, and he holds five patents in telecommunications network architecture. Steve is a graduate of the University of Pennsylvania’s Management and Technology Program with degrees in Computer Science from the Moore School of Engineering and Finance from the Wharton School. My entire career has been focused on building early stage technology ventures, spanning a number of sectors, including telecoms, data communications, education and consumer internet. My career prior to Juvo paved the way for my foray into fintech, because I had the opportunity to see, firsthand, the effect of mobile technology all around the world. I realized the timing to dive into a mobile financial opportunity was perfect – the capabilities of machine learning and data science, coupled with the progression of cloud computing and the ubiquitous rise in smartphones laid the groundwork for a concept like Juvo to not only take root, but thrive. Before the idea for Juvo came to surface, I knew that there was a calling for me to do something different, something that could have a real and significant global impact. I wasn’t sure what this was or how I was going to get there. The most powerful and motivating factor was the idea of reflecting back on my life and wondering if what I did had lasting value. It was at this point I set out to use my experience and expertise in telecoms, data science and consumer internet to solve the real world problem of financial inclusion in emerging markets. Digital transformation means different things to different industries, but at its core it is the same – a new way of conducting business, transactions, even life. Digital financial technology, or FinTech, is doing three things now: enabling new products, providing new services and meeting new segments in hard-to-reach populations, where they are and at a low cost. The UN’s Sustainable Development Goals (SDGs) initiative highlights financial inclusion as one of its principal areas of focus, with Goal #8 dedicated to promoting sustained, inclusive economic growth for all by 2030. Access to financial services and the ability to build a financial identity is an essential component of inclusive growth, and mobile technology is playing a vital part in achieving this. Globally, more than 4.7 billion men and women subscribe to a mobile service – that’s almost two-thirds of the world’s population. New products are now possible, where they weren’t before. The combination of cloud computing and data science, along with the proliferation of smartphones has opened up opportunities to establish financial identities for the billions who are underbanked. The use of cloud computing and data science have made complex functionalities accessible across diverse locations and markets. A recent report Juvo’s team of data scientists created demonstrates how offering data science-driven mobile financial services to prepaid subscribers has a dramatic impact on mobile operator business performance and revenues. When applied globally, data science can boost the value of the prepaid market by $70 billion. Juvo is partnering with mobile operators to help provide a financial identity to these subscribers using big data to create ‘Identity Scoring’ – a concept more robust than a credit score because it takes into account behaviors, preferences and lifestyle. Using machine learning to analyze digital footprints from smartphone interactions, Juvo builds a financial identity and provides access to mobile financial services. Financial services companies open the door to a previously untapped market in the billions, and individual subscribers are exposed to a host of opportunities they wouldn’t otherwise have as Juvo walks them up a pathway to financial inclusion. It is estimated that around 2.5 bn people worldwide are ‘unbanked’ due to their inability to access more traditional forms of credit and, as a result, have to rely on cash or informal financial services which are typically unsafe, inconvenient and expensive. This is a big problem, and not just in developing countries - 68 million Americans (some 22% of the population), and 25 million Europeans are considered unbanked, making this a truly universal issue. At any one time, there can be between 500m and 750m people with a phone and not enough credit to use it, whether due to cash flow, the time of day or just the convenience of getting to the store for a top up. That’s not good for them, and it’s not good for their network. This is where identity-based relationships can help. Identity is critical in extending financing, but it doesn't mean you have to follow traditional credit guidelines. That's where the mobile component comes in and can be so powerful. The widespread use of mobile phones in emerging markets has created the conditions for large-scale expansion of mobile financial services, which enable organizations to dramatically increase financial inclusion. However, identity presents a major challenge. The majority of consumers are prepaid, and therefore anonymous, preventing access to essential mobile financial services. There is a need to establish these financial identities for the billions of people around the world who are credit worthy, yet financially excluded. Mobile operators have the benefit of access to near-infinite amounts of data on their subscribers; data which, when properly mined by expert data scientists and coupled with additional sources of proprietary data, has the power to transform customer experience and significantly impact the bottom line. With 3bn new smartphone subscribers expected in emerging markets by 2020 there’s a big opportunity for large-scale expansion of mobile financial services, enabling organizations to dramatically increase financial inclusion. Mobile activity and behavior, coupled with identity, can help previously disenfranchised populations engage with credit and lending experiences. Using machine learning to analyze digital footprints left by smartphone use, Juvo builds a financial identity and provides access to MFS which opens the door to a previously untapped market in the billions, and individual subscribers are exposed to a host of opportunities they wouldn't otherwise have. Juvo was created with one overarching vision: to establish financial identity for the billions of people worldwide who are creditworthy, yet financially excluded. The entire team has deep roots in telecom and datacom so we know the pressures facing mobile operators. Our global team has a wealth of experience, and many have spent time in developing countries throughout their careers. This has allowed them to see firsthand how cash-based societies miss out on building greater financial opportunity, and how the power of data can help define and explain consumer internet behavior - most notably that the modern consumer wants personalized services, on demand, through their mobile phones. Juvo is engaged in helping the billions of people all over the world who have been left out of the financial system find a pathway to gaining greater opportunity and financial independence. By putting a face on what is typically an anonymous SIM today, Identity Scoring enables mobile operators to have an identity-based relationship with each prepaid user, creating a pathway to financial services. September marks 12 months since Juvo has come out of stealth mode. To mark this milestone, we will be revealing some exciting news. What I can say is that at maximum growth, Juvo has a global reach of billions of people and is helping to eradicate poverty by walking unbanked, yet creditworthy people, up a pathway of financial services leading to global financial inclusion. Simultaneously, Juvo’s partners, whether mobile operators or MFIs or other financial institutions can build more loyal, engaged customers and open the doors to new definitions of creditworthy individuals. In just three years, Juvo has gone from an exciting idea to a global corporation and has partnered with seven leading mobile operators in 23 countries and reaching over 350 million subscribers. I’m proud to say that the company is doing over 200 million transactions this year alone, has 1,000,000 active subscribers a day, with a loan payback rate of 95%, and is helping MNO partners reduce churn by 50% and increase ARPU by 10-15%. One of the most significant results since Juvo’s inception is that it has grown to 23 countries on four continents. We’ve struck partnerships with some of the world’s leading operators including including Millicom and Cable & Wireless, amoung other operators that will be announced in the near future. Our offering helps service providers reduce churn by 50% while increasing ARPU from 10% to 15%. The identity score enables carriers to gauge the value of each customer, which in turn allows them to offer additional wireless services to their customers. Juvo recently released a report that dives deeper into the value of using data science to open access to mobile financial services across previously anonymous populations of prepaid mobile users, and found a revenue stream at the ready for operators - to the tune of $70 billion. The study examined 13 different countries whose GDPs varied by as much as 1000%, and yet the level of progression was very similar.. What this proves is that the ability to be responsible with credit is wholly independent of income - identity and responsibility are much stronger indicators. While the technology and execution of Juvo has been incredibly successful, we are still tackling a problem 95% of Silicon Valley won’t touch. Mobile operators have notoriously been hamstrung by legacy systems, regulations and a host of other issues, making OTT the logical pathway for technology providers. But Juvo’s vision is much larger than OTT. We aren’t simply addressing millennials in the U.S. for example, we are reaching all demographics across a global market. Mobile operators are often reluctant to engage with technology startups, because their business is so unique and requires a firm understanding of the pressures and obstacles they face. On a personal level, one of the difficult moments while building Juvo was the realization that while I am no stranger to building new companies, at nearly 50 years old I recognized that with Juvo it was different. With a family to raise and support, I understood the demands on my time and didn’t want to wake up one day realizing my children had grown up while I was trying to pursue an idea. I knew I had to be all in, the biggest challenge wasn’t about failing - I hoped if I failed I would do so quickly. It was having something that sort of worked because middle of the road is nowhere. As soon as Juvo took investment money I had an obligation to go full steam ahead to make that money mean something. By providing incremental loans, Juvo puts the power back into the subscriber’s hands - allowing them to use their phones when they need them most, and repay the loans when it works best for them. As these users continue to successfully borrow and repay small usage advances, additional opportunities are provided as they move up the path toward financial inclusion. Juvo is much more than a credit solution, much more than emergency lending, much more than a mobile app. We’re meeting people at the exact time and location they need us, and we’re extending a financial opportunity. With a market of 5 billion people around the world, it is a really exciting time to be in fintech. It's one thing to have a unique vision--it's another thing to be capable of connecting with folks in an emotional or intellectual way. Every technology, design, and human challenge that we overcome improves the lives of a person, a family, a community. Juvo is helping people that are in actual need of help. Many technology companies are catering to a very wealthy clientele. By bringing telco lending to people in developing nations, we are making mobile a more stable and reliable experience -- as in this story of Juvo subscriber Jackie, who lives in Jamaica. Juvo currently has an employee-base that speaks 20 different languages and is located around the world. In order to keep them motivated and have them jump out of bed in the morning excited to go to work, and go to bed at night feeling like they’ve some something amazing, I think it critical to foster an environment where everyone feels a part of the team. Within 30 days of launching the company, myself and the existing leadership team put a plan in place to help articulate the culture of Juvo and reinforce its value across all business activities. Juvo’s cultural values have helped build a team that has an appetite for pushing boundaries and finding solutions to the impossible, has a strong desire to continuously learn and adapt, fosters open communication and a sense of collaboration to grow and innovate, thinks globally and believes passionately in team success. This focus on culture has helped Juvo recruit and retain top talent in Silicon Valley. Always think long term. The relationships, customers, achievements etc. that you create and touch over your career add up. For me, Juvo is the culmination of 20 years of those relationships.